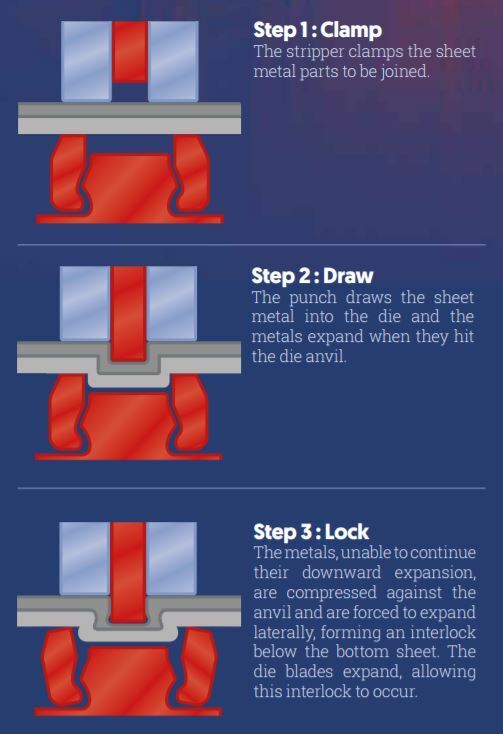 The clinching process is a proven, cost effective solution to join sheet metal. Several tooling are available to suit your needs. The stripper clamps the material to be joined. The metals, unable to continue their downward expansion, are compressed against the anvil and are forced to expand laterally, forming an interlock below the bottom sheet. The die blades expand, allowing this interlock to occur. Azimuth's wide varieties of tooling allows to do every job, faster & easier. Compared to some other clinching presses, Azimuth's clinching presses are built tought & use a unique process of clinching press, which allows the operator to do a whole range of material, without buying expensive optional option. Send us your material today for a free evaluation & recommendation of your application. 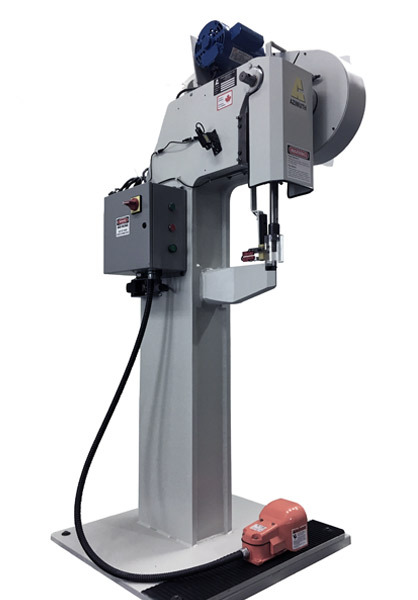 Azimuth clinching press are simply the fastest & most competive clinching press in the Industry. 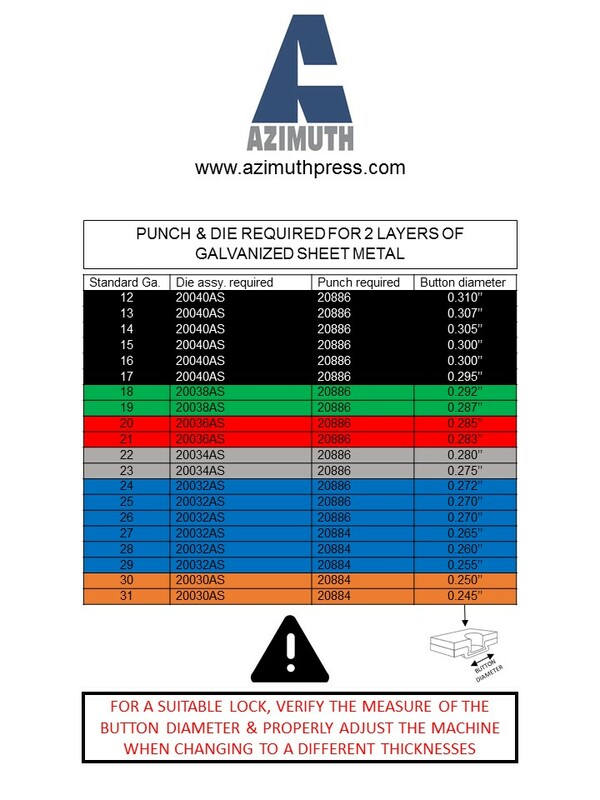 With over 10 models avaible in stock, Azimuth is reknown for its capacity to build custom clinching presses, for any applications, any industries. Contact us today for a free evaluation & recommendation for your unique application.